Located by Downtown Bangor, Seasons Restaurant is the spot to go to with family and friends for delicious food, drinks, and entertainment. Dine-in our restaurant for a quiet meal, or eat in our sports bar while watching a game. Our chef-inspired American cuisine is sure to please even the most discrete pallet. Want to see a concert, live comedy show, or belt out some karaoke? Then you’ll want to visit our Downunder Club where something is always happening. 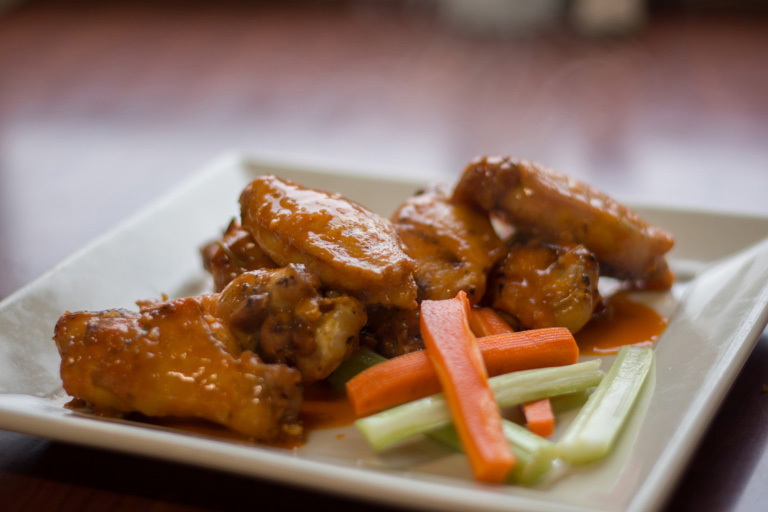 If you’re at the Cross Insurance Center, Hollywood Casino, or a concert on the waterfront, stop in for a bite to eat! Seasons is open every day happy to serve lunch, dinner and late-night snacks. Our menu offers pasta, classic steaks, and fresh seafood, with vegetarian and gluten-free options available. We strive to provide a relaxed atmosphere where everybody feels welcome. We love accommodating large groups with prior notice. We cater towards concerts, crowds and have multiple areas open for everyone to enjoy themselves. However, we're always pleased to see our customers just drop by for a meal. Don’t forget our kitchen is open and serving until midnight every night! 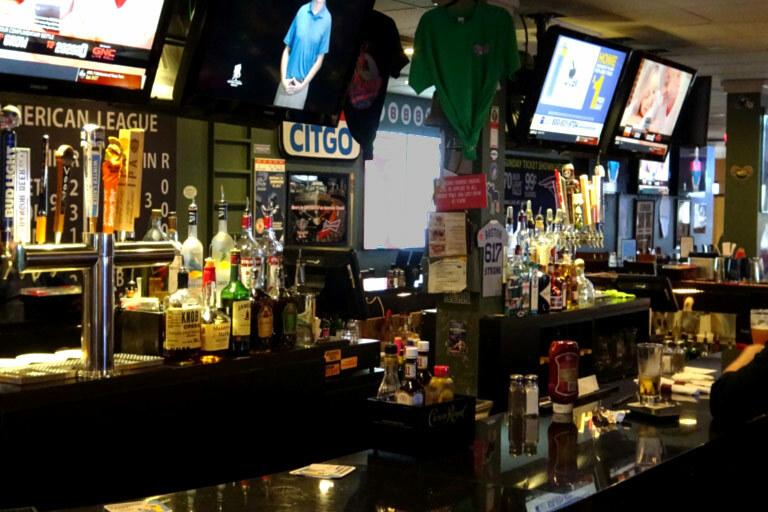 Enjoy the big game with your friends at our large Seasons Sports Lounge. Savor our great beer selection while cheering on the home team on one of our over 26 high-definition screens located throughout the Bar & Lounge. Specialty drinks are mixed by our friendly bartenders, while the cozy lounge area features overstuffed chairs and couches with its two big screen TVs and eight smaller TVs. It is the perfect place to watch all of your games at once! 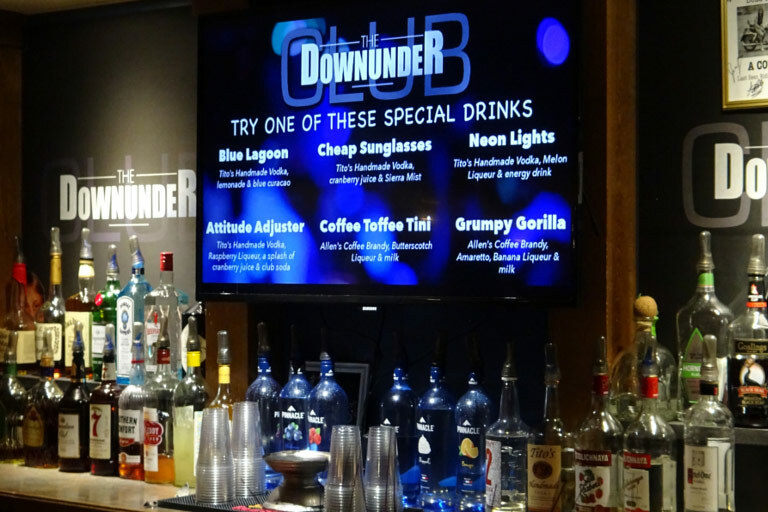 The Downunder Club is the best place to be in Bangor for true nightclub action. Dance the night away with live music in our concert venue, or if you prefer, our DJ is always playing the best dance music around. Bring your friends for a fun filled evening belting out the latest hits during karaoke night on Fridays, or laugh for hours at one of our scheduled comedy shows. Don’t miss your favorite entertainers, check our calendar to see our upcoming shows. Open Friday and Saturday nights! 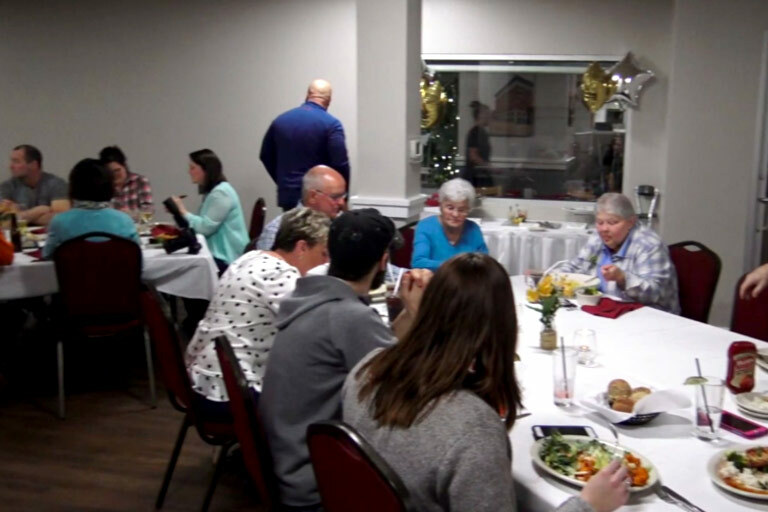 Unlike other banquet facilities in Bangor, we have the perfect spot with nearby lodging, and can take care of it all in-house from the room to food, drinks, and entertainment. Please click here to book a room.